Want Free Art and Design Ideas? Get our latest content by email. The name Zenso came about as a combination of our logo (an *Enso which is a Japanese character meaning circle) and the word Zen (which characterizes meditation and intuition). The painted circle of the Enso is a single brush stroke, created once and left unedited allowing for the freedom of movement and a potentially imperfect outcome. The goal of Zenso Creative™ is to encourage aspiring artists as well as established artists to create without the pressure of being perfect and to learn new and different ways of being creative. Art is therapy, it’s meditative, it’s sometimes intuitive and sometimes not. It can be frustrating--kind of like fishing--but once you catch on and learn the techniques and steps to take, it’s one of the most gratifying experiences you can have. Read More! Our art workshops are specifically designed to be moderately challenging for high end results. We build in step by step, easy to understand instructions so anyone can create these projects. At Zenso Creative, our exclusive courses are customized for our students interests which include workshops in everything from faux finish techniques on furniture, walls and art to fine art techniques using a variety of mediums. Our talented instructors come from many different art and design backgrounds. Although we all teach different workshops, we use the same instructional format so once a student takes one workshop, the way the rest are presented will be familiar. Our students will find or art workshops contain detailed instructions, resource guides and complete project supply lists making projects easy to replicate in the real world. 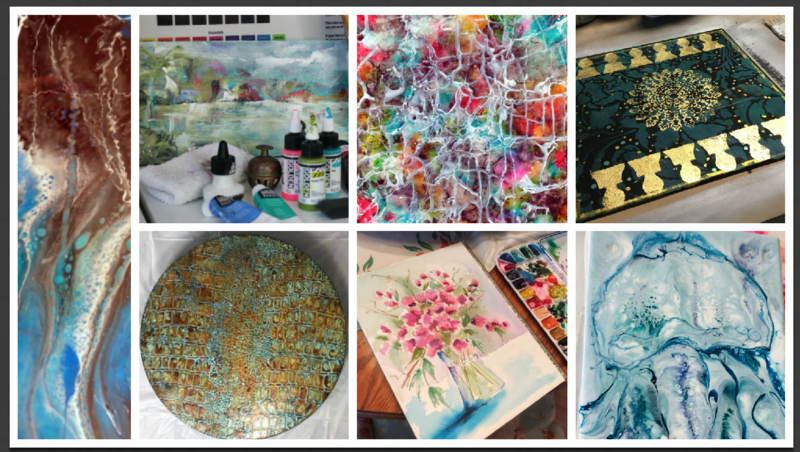 Whether you are painting a kitchen or a piece of furniture, creating an art piece or building something, every step, product and tool is included in our art workshops. © 2019 Zenso Creative, LLC - All rights reserved. Where creativity, connection, and community come together.